If the fish needed the government approval to swim, if the bird needed the governor approval to fly and if men needed the senate approval to walk we had a world without fishes, without birds and with no people. Translated from Hebrew by Meir Ezra. Hello! I hope you are enjoying and have been applying the tips you’ve learned so far. This is our 10th tip! Wow! Today, is a little different. Today, the subject is submarines – so literally let’s dive right in! A submarine is a deadly weapon. In fact, I was a submariner in the Israeli Navy, and we used to say that all things at sea can be divided into two categories – Submarine or Targets. In other words, a submarine could never be a target. Hello and welcome to TimeMaker’s next tip for efficiency and effectiveness. Today we will be covering the silent killer of any organization – cancer. Much like a body, the “organizational cancer” is silent. But what is cancer in the body really and what is the organizational cancer? Hello and welcome to our next tip! Today we will be covering a very important subject which most people know is important, yet somehow hardly use properly. It is actually so vital that without it, nothing can exist. With it, you can take any dream in life, in business, even in relationships and make it come true. It is, in fact, the key to ANY success. Hello! I hope you are enjoying and have been applying the tips you’ve learned so far. This is the 6th of fourteen e-mail tips. It is simple but effective, and we’ve included some helpful videos and the usual do’s and don’ts – enjoy! Ah… good times… nostalgia… We love these sorts of memories. Imagine life with no memories! This is why our mental records are so important – so we can look back, think about moments, enjoy them and learn from them. But it goes much deeper, and this is what this tip is about. A person uses his memory to make decisions by referring to past experiences. The better a person’s memory is (meaning his or her record and the ability to access that record), the more data he has to work with and, thus, the better his decisions are. In life, no matter where you are or what you do, the atmosphere of the area sets the stage for what is about to come. It is a kind of soundtrack to your life for that moment. If you arrive at a party and there is a tense and awkward feeling in the air, chances are the party won’t get off the ground unless something changes. Much like in a movie, where the music sets your emotion (is it scary, is it cheerful, is it sad…), at work, your environment is your atmosphere and your soundtrack. Your environment defines your state of mind and, hence, determines whether or not you are able to operate smoothly and productively. For most of us, life is not a quiet and boring road. It is exciting! But it also has an aspect which we all have a certain love/hate relationship with – PROBLEMS. There are only two kinds of problems in this world: good problems and bad problems. So… you’ve arrived at the office and your inbox is full… the question is – how do you go about handling those e-mails (or handling the incoming phone calls, employees’ requests, customers’ complaints or anything else for that matter)? THIS is the subject of today’s 2nd tip. Power equals energy divided by time, or P (power) = E (energy) / T (time). Emails – a blessing or a curse? …the secret ! There is no chance to forget anything when you have TimeMaker! I work as a marketing and promotion manager, which means I have a lot of programmes to follow step by step. Before Timemaker I had to write everything down on p apers, which I have lost afterwards and I got upset and miserable afterwards. Now I know, what exactly needs to be done and when. And if it happens that I don't have time to do it myself I just redirect the task to others. This is the best tool ever! I love your TimeMaker. I've been testing TimeMaker for two months and it far exceeds any personal management software I have seen. TimeMaker trumps them all. It will save you time on different tasks, email, planning your time and all other tasks you are doing through the day, and will remind you about all the tasks we need to check on. Thank You! TimeMaker makes my life much more organized and easy! Before TimeMaker I had 2,000 e mails in my inbox, now I have none at the end of the day! I have only tasks to do, and I don't like the red color I get if the task is not completed on time, so I'm doing the best I can to be on time. That saves time because I'm doing everything on time, and I don't have to read e mails more than once! Also I don't forget tasks, not mine and not tasks I have appointed to others. 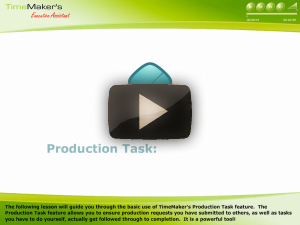 I have been using TimeMaker software for a few years now. It is great. Besides the fact that it handles the communication better it also helps me be on top of t he cycles that I have to do. It does not let any cycle that I have to do or that others have to do for me be dropped or forgotten. 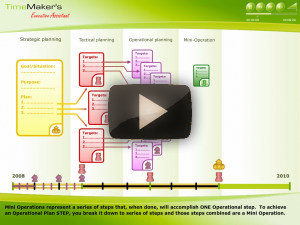 It is a great tool for - one man operation, small business and larger ones. I was introduced to TimeMaker one afternoon and have never looked back since. It is not only a time management software, but rather, a way of life. 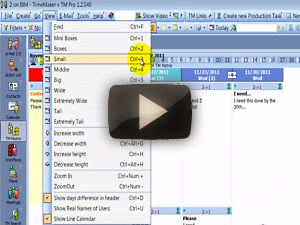 After a quic k learning curve, your entire business day is organized, manageable and efficient. The software gave us the ability to monitor project progress and task load on each employee to help better steer the ship as needed. The support team at TimeMaker is excellent and helped us integrate seamlessly into our current operation . I want to tell you how wonderful it is to get organized with the TimeMaker program and system. I did not realize I had so much disorder and attention in all dif ferent places. It was really stressing me out. I'm so much less stressed and in better spirits! Everything is becoming simpler in my personal admin. I have a pl ace to file all my emails, orders and plans. I already feel a lot more powerful and organized with administrating and managing the several businesses, propertie s and projects. I am so impressed with this software and can't figure out how I was getting along without it before. It keeps us organized, ensures compliance to requests and o rders both inside and outside the company and so much more! TimeMaker thought of everything. This is an amazing tool, easy to work with and saves time like nothing else. Making planning an actuality become true. This is really management software from a small outfit to a large company.